Located 5 miles from Baths of Aphrodite, Akamas sunset Apt offers accommodations with a kitchen in Polis Chrysochous. The apartment, housed in a building dating from 1985, is 5 miles from the Aphrodite Nature Trail. Featuring sea and mountain views, this apartment has 2 bedrooms and opens to a terrace. The property also includes a bathroom with a shower and a washing machine. When would you like to stay at Akamas sunset Apt? 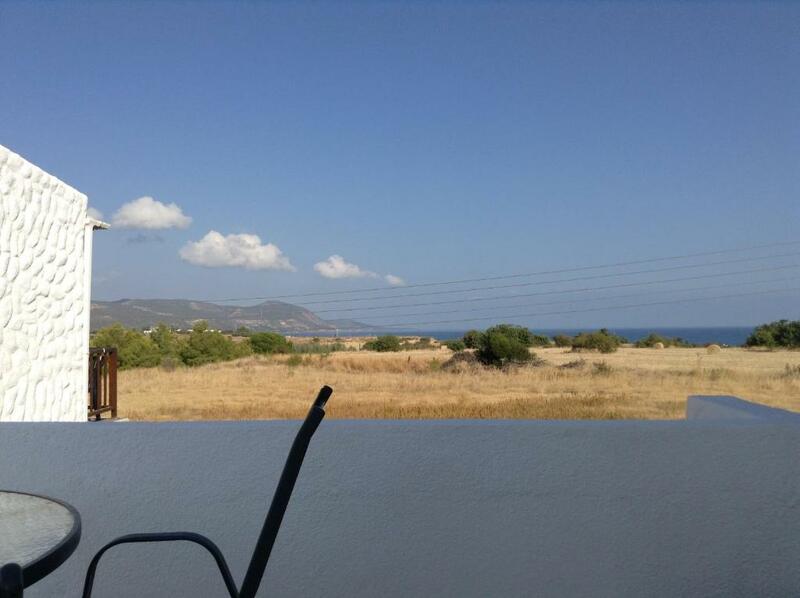 The Apartment overlooks Polis Chrysochous bay to the Akamas Peninsula, which is a nature reserve, The bay is a nesting site for turtles, and you can see the turtle nests as you stroll along the beautiful promenade which stretches from Latchi to Polis beach. The area is quiet for 11 months of the year, August becomes very busy as the Cypriots flock here for their summer holidays and it is easy to see why. The favourite spot for many is the Blue Lagoon, with crystal clear waters to enjoy a spot of snorkelling or sunbathing or why not enjoy a boat trip with BBQ. The Apartment has wifi and flat screen tv with UK tv channels BBC ITV and most freeview available, ( please remember the 2 hr trime difference for watching your favourite shows). We moved to this area just over two years ago, and wish we had moved earlier, I particularly enjoy taking my pet dog 'Zac' for a walk each morning at sunrise a short walk from the apt to the promenade and along to Latchi and back, It is so peaceful and the stresses of life seem so distant. Aphrodites baths is a ten minute drive, and enjoy lunch and leave room for the best apple pie ive tasted at the local restaurat, Polis is a beutiful town with museum and gift shops where you can see the local crafts and purchase at reasonable prices, The area is full of good restaurants, my favourites are Molos and Yialos, the food never disappoints, Molos is located in the Marina next door to Latchi watersports, and Yialos is a little further along the coast, however you sit at your table almost on the beach and watch the spectacular sunsets, There is a small supermarket 'Katies' within 5 minutes walk of the apartment which has everything you will need to enjoy your stay. 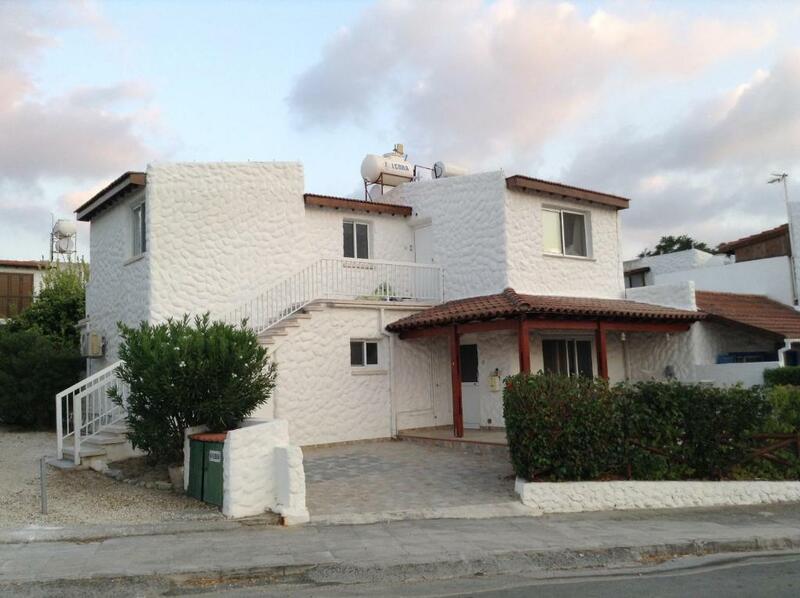 House Rules Akamas sunset Apt takes special requests – add in the next step! We need at least 5 reviews before we can calculate a review score. If you book and review your stay, you can help Akamas sunset Apt meet this goal.